During the summer of 2014, Rachael Lacina-Taylor responded to a flyer posted by guitarist Christopher Cornell Brown at a music shop that simply said, “Singer Wanted For Original Rock Band.” Rachael and Chris held a couple of jam sessions with drummer Ben Fordyce, and the band was formed. Much of the first year together was spent writing material. Chris had written and recorded dozens of instrumental guitar songs prior to the band. Ben added his aggressive and dynamic drumming to the tracks while Rachael worked out vocal melodies and lyrics to complete those songs. By late 2015, the band had enough original music to record an album. In 2016, Siren’s Breath began working with The Cardinal Coalition in Austin, Texas, to record their debut album: Beautiful Aftermath. They released their first single, “Beowulf,” in November of 2016, and followed up with “(un) Caged” in July 2017. The band is also working on a saga titled Siren’s Breath which tells the story of the creation of the mythical Sirens and a rock musical version of William Shakespeare’s Macbeth. Siren’s Breath welcomes Chris Gray on bass. Siren’s Breath’s Debut album was released in September of 2017. The album features songs that are inspired by great literary works such as Harry Potter, To Kill a Mockingbird, Beowulf, and The Lord of the Rings, along with other songs that deal with themes of authenticity, overcoming limitations, and reflection. Chris Brown and Rachael wrote and recorded all songs for Beautiful Aftermath. We would like to send a heartfelt thank you to Greg Haberek of The Cardinal Coalition who has worked with us for the last year on recording and producing the album. We are grateful to the talented Candi at C.L. Fite Art who created the beautiful album and website artwork and inspired the album’s title. We also want to thank all of our families for their love and support, and all of the musicians who have ever inspired us. Siren's Breath are a band from Texas that look to combined literature with Hard Rock. How does this mixture fare? Let's dive into our review and see. The opening track "Gotta b Me" is upbeat Rock at its fullest. High tempo, rockin's drums and excellent vocals make this an excellent opener to help attract the listener perfectly. "(Un)Caged" sounds a bit like Evanescence with its haunting vocals and more subdued Rock stylings. It showcases some nice depth overall. "Somewhere At The Bottom" is an excellent haunt through the Rock music landscape. The driving riffs and vocals make this a hit in the making. The chorus soars into the stratosphere and really makes it a standout track. "Gridiron" is very controlled with its intensity. The track sounds like its bursting at the seams and really to erupt at any moment but doesn't quite explode. "Damiana's Revenge" has a bit of A Perfect Circle vibe to it. The crunchy guitars and melodies are all top notch. "Grendel And Beowulf" is fantastic from start to finish. The opening guitar solo is incredible and the track is fast, heavy and melodic overall. "Drums In The Deep" is a forty second interlude track that features some splendid drum work to help break things up. "Frodo's Lament" has a bite to it. The vocals keep things interesting as they carry the song to even greater heights. "The Wisdom Of Atticus Fitch" is pretty complex in its delivery. It has tons of layers to it and should be a multiple listening track just to catch every little detail. "Always (Severus Snape's Song)" slows things down a bit. The nearly acoustic track wears its heart on its sleeve and it works wonderfully. The closer "Days Go By" keeps its emotions on a high note. The track twists and turns and wraps up the album nicely. Siren's Breath show off their unique brand of Rock that fires on all cylinders. 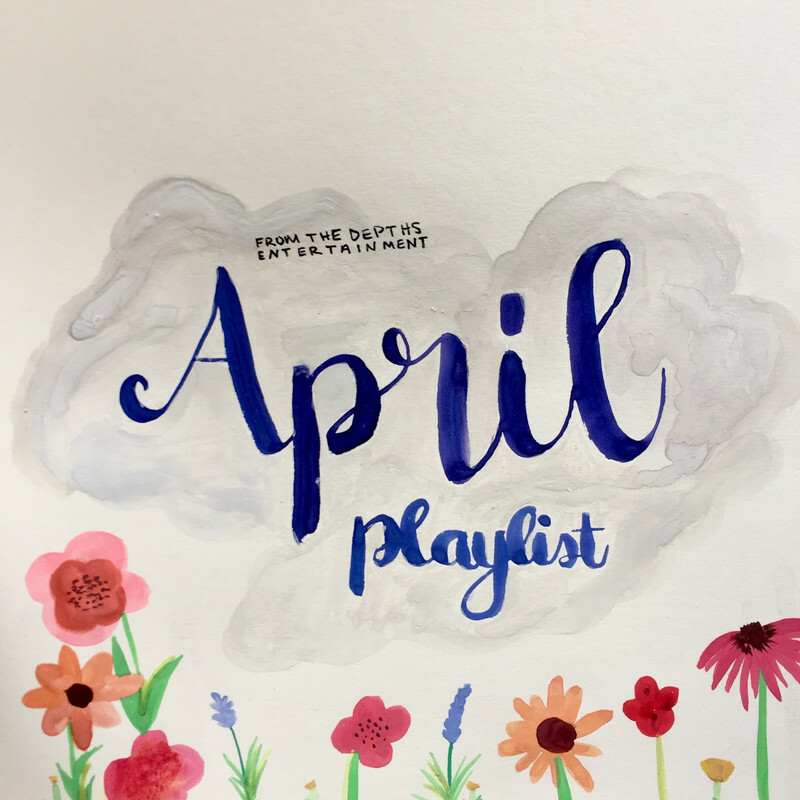 Our April playlist features acts that are always in bloom with their forms of catchy music. From The Depths Entertainment is a hybrid record label that works with the best up and coming artists from around the world. 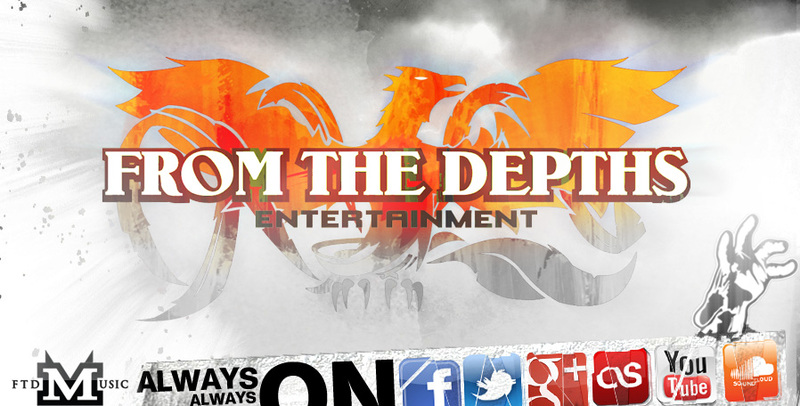 Contact us at ftdentertainment@gmail.com We bring you the best up and coming artists from around the world FIRST!! We work with artists of all genres so anyone that is interested, feel free to message us. We currently have exposure to over 130 countries from around the world.